Earth is a strange, strange planet. Don’t believe us? Check out these eight weird and stunning places and you’ll see for yourself how odd our planet can be. The Door to Hell in Turkmenistan is, in one word, horrifying. The pit was accidentally created by Soviet petroleum engineers in 1971 when gas they were storing there exploded. It’s still burning today and shows no signs of stopping. After all, how else would Satan get easy access to the mortal world? 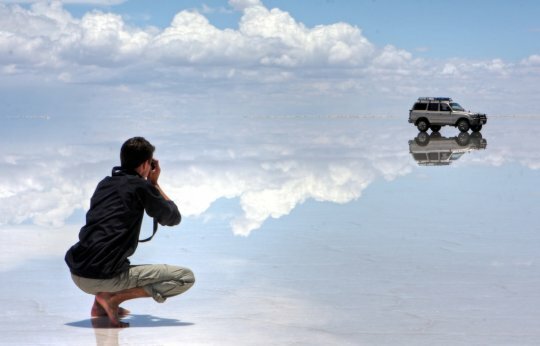 Salar de Uyuni is located in Bolivia, and it holds the distinction of being the world’s largest salt flat. The flat, white surface perfectly reflects the sky, making it feel like you’re walking on clouds. Plus, if you bring a few containers, you can have a lifetime supply of salt for your kitchen table. Are you afraid of dolls? 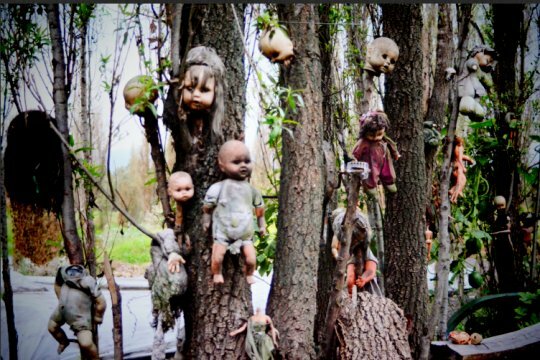 If not, you will be after you visit the Island of the Dolls. This little haven for plastic babies is located in Mexico. The legend goes that the dolls were placed on the island by a man possessed by the spirit of a girl who drowned. Yeah, there’s pretty much no way this place could be creepier. This island is located in the Red Sea, hundreds of miles from the coast of Yemen, and because it’s so isolated, it’s become home to many unique natural sites. This includes poisonous cucumbers and trees that ooze blood-red sap. 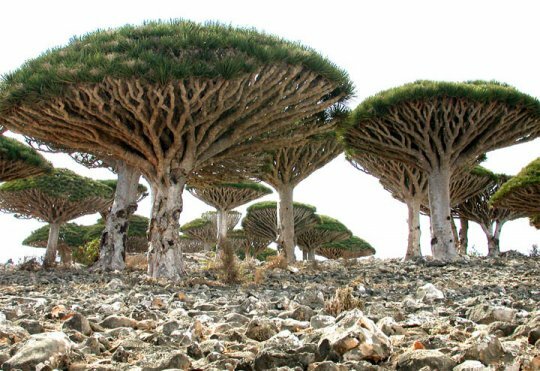 When you’re exploring Socotra, you’ll feel like you’re on another planet. When you hear the word “worms” the first thing you may think of are the creepy, crawly things that you find in a garden. But the worms in the Waitomo Glowworm Caves in New Zealand are actually quite beautiful. The worms hang on the roofs of the cave and emit a bright light. This makes it look like you’re in a cave full of stars. That’s definitely much better than the wriggling invertebrates you’re used to. 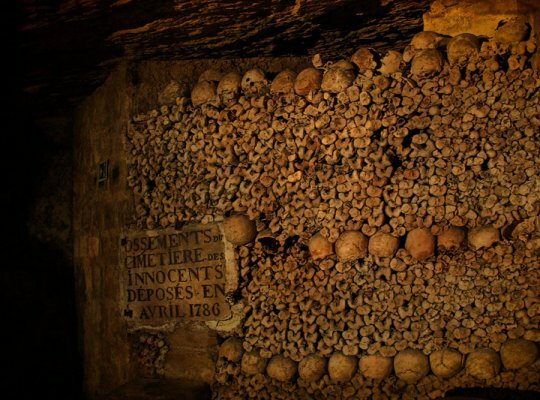 The Paris Catacombs date back to the fifth century, and they contain the remains of over six million people. In 2013 they were officially made into a museum, so anyone who has the desire to see rooms full of skeletons can do so for a small admission fee. The Nazca Lines are a series of over 700 huge designs carved into the ground in Peru. They were made by the Nazca people thousands of years ago, and it’s still a mystery why exactly they were created. There are plenty of conspiracy theories, and some people are convinced aliens had something to do with it. No matter what the reason is, there’s no denying that the Nazca Lines are a strange and intriguing site.